LIKE ALL SMARTPHONES, your iPhone will keep a record of all the places you’ve visited since you’ve first started using one. This information is used for specific Apple features like the today section which calculates commuting times for going to and leaving work. All the information is saved on your phone (and the only info you can share is the specific location you’re in). However, not everyone is going to feel ok knowing that their phone is keeping track of all the places they’ve been to. If that’s the case, then turning it off and clearing it is pretty simple. So to turn it off. Go into Settings > Privacy > Location Services > System Services > Frequent Locations. 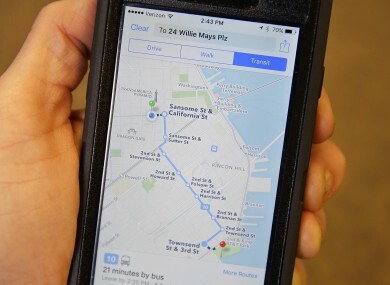 When you go into this, you’ll see all of the locations you’ve visited with your phone. Location Services is on automatically so this could go back months or years depending on how long you’ve had it. Each location can be seen in greater detail by tapping one. You will see a map of all the places you’ve visited and see the general times you were in each specific area. If that creeps you out, then you can clear everything by going back to the System Services page and tapping Clear History. Similarly, you can go into Frequent Locations and turn off the setting so future locations aren’t tracked. Turning it off won’t end up hindering any apps or features. Any app that requires location features is dealt with on an app-by-app basis. Email “Your iPhone keeps track of where you've been. Here's how to stop it”. Feedback on “Your iPhone keeps track of where you've been. Here's how to stop it”.